Talk about adorable! This sweet handmade dollhouse is the perfect rainy day project for crafty parents and kids. Made with a recycled hat box, there aren’t any super specific how-to instructions for building this dollhouse, but it’s great inspiration for how to use a box in a new way. Gather craft items from around the house and simply combine them as you see fit to design your diminutive dwelling! You and your child don’t have to make just a dollhouse either. You can get creative and make a garage for toy cars, a wildlife scene or candy shop. Go crazy! See more images of this clever dollhouse at Sweet Paul. 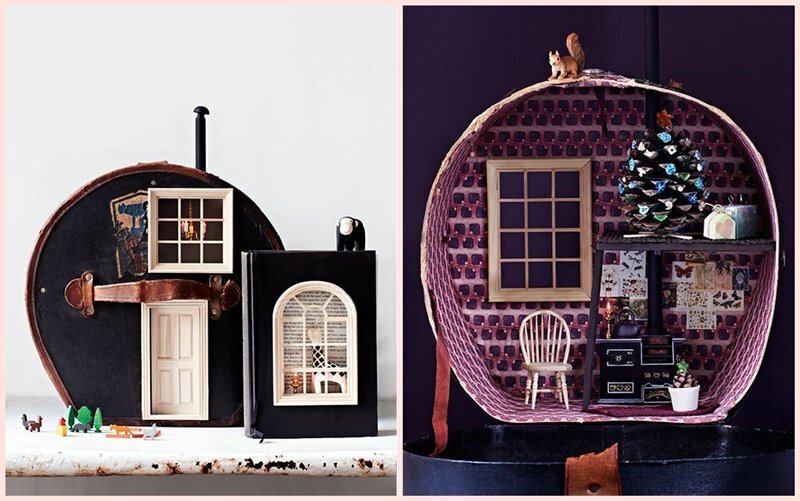 RELATED | 8 Charming & Creative DIY Dollhouses Built by Parents! Talk about adorable! This sweet handmade dollhouse is the perfect rainy day project for crafty parents and kids. Made with a recycled hat box, there aren't any super specific how-to instructions for building this dollhouse, but it's great inspiration for how to use a box in a new way. Gather craft items from around the house and simply combine them as you see fit to design your diminutive dwelling! You and your child don't have to make just a dollhouse either. You can get creative and make a garage for toy cars, a wildlife scene or candy shop. Go crazy! See more images of this clever dollhouse at Sweet Paul.